This is my first entry to densho.blog as the newest member of the Densho staff, having taken over as Technical Director when Geoff departed after 8 years with Densho. Coming onboard, I have to say I am very impressed with the use of technology and resourcefulness that went into creating the backend infrastructure supporting the collection, processing, organization, and dissemination of the oral histories. Visitors to Densho's public website and archive collection see the formatted transcripts, videos, photos, and audio streams, but what they don't see is all the work that goes on behind the scenes to create the collection. I can't help but also be impressed with the scope and vision of Densho's mission when it was first formulated more than 12 years ago, long before YouTube. The decision to create an all-digital video collection of oral histories and to carefully transcribe and catalog everything from the very beginning was not only insightful but instrumental in making Densho's collection a tremendous valuable legacy for future generations. 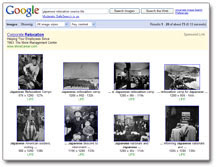 It's interesting to compare what Densho is compiling with something like Google's recent release of historic LIFE magazine photographs, which was strongly criticized in a NYTimes article for its lack of historical context. This contrast highlights an important aspect of the uniqueness of Densho's archive in that it captures and preserves the personal stories of those who experienced or witnessed the incarceration firsthand. Rather than simply "making it available," Densho provides framework and context so that many of these firsthand accounts have a face and a voice.